Another golden-oldie from my old movie blog. Enjoy! Summer has official started; in terms of at the movies I mean. Each year from the beginning of May to the end of August, a great host of movies from various film studios are showcased with a lot of “pomp” and (under the circumstance) carry an inherit pressure to be successful. From kid friendly animations, to raunchy comedies, to big budgeted superhero features, to uber-hyped movies, and under-the-radar- sleepers, going to the movies during the summer is generally always looked forwarded to. Now, to kick start the 2014 “Summer at the Movies” extravaganza, Sony Pictures and director Marc Webb bring viewers the sequel to 2012’s Spider-Man blockbuster with The Amazing Spider-Man 2. Does Spidey’s next chapter rise to the occasion or fall into summertime movie obscurity? Taking place sometime after the events of The Amazing Spider-Man, life as superhero is become a routine to Peter Parker (Andrew Garfield) He’s taking care of bad guys and protecting the city, while living a normal life; trying to make sure he stays one step ahead of his aunt (Sally Fields) and struggling with a promise he made to his relationship at a distance with Gwen Stacy (Emma Stone), who is also struggling with her relationship with dating Peter and his alter ego of Spider-Man. 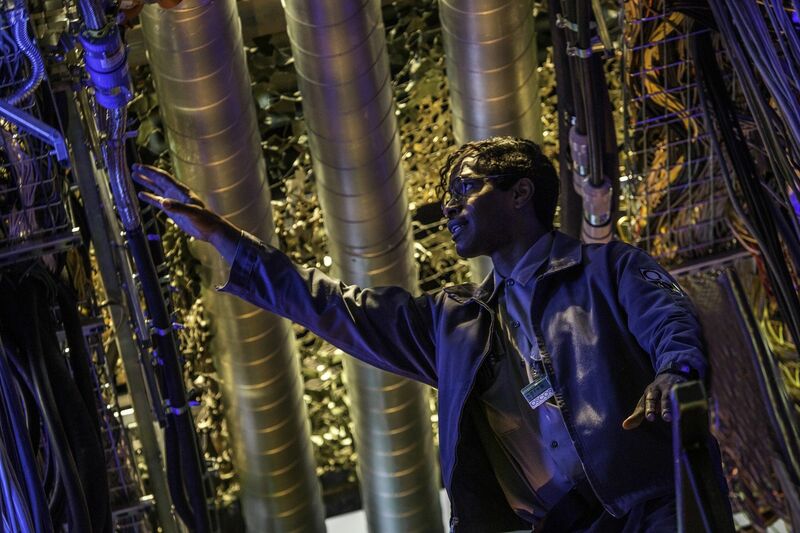 At the same time, Max Dillion (Jamie Foxx), a socially challenged and undervalued electrical engineer at Oscorp, accidentally falls into a tank of electrified eels and is reborn as Electro, a super-powered man with the power to harness and conduct electricity. While the appearance of Electro is a new enemy for Spider-Man, an old friend to Peter returns to New York City. Harry Osborne, the heir apparent to corporation of Oscorp, is dying from a hereditary illness that killed his late father Norman Osborne (Chris Cooper). Harry believes a sample of Spider-Man’s blood is his cure, which leads Peter into uncovering the truth behind his parent’s mysterious connection with Oscorp; placing himself in a difficult position that not only effect his life, but also the life of Gwen, Harry, and Electro. This film marks the second installment since the Spider-Man cinematic franchise got a reboot (the fifth installment overall) with a younger cast filling out the primary roles as the film showcases the origins and early events everyone’s favorite hero of New York City. It’s an interesting take on a reboot, but ultimately feels unnecessary to a certain degree. The original Spider-man trilogy, with Tobey Macquire playing the lead role of Peter Parker / Spider-Man, had some cringe worthy and / or cheesy movie moments to be had (the whole dance thing in Spider-Man 3), but was on par with being satisfactory for many viewers. Perhaps it was a little too early to reboot the franchise as both old and new versions feels somewhat the same with the web slinging hero zipping across New York City, finding love, trying to be normal, of course, thwarting manically super-villains. It wasn’t a huge jump in the form of reimagining Spider-Man like with Batman from 1997’s Batman & Robin to 2005’s Batman Begins and maybe that’s where fault lies. With the exception of a more youthful cast and updated visuals, the original Spider-Man films (Spider-Man 1, 2, and 3) and The Amazing Spider-Man (1 and 2) feel vaguely the same; never truly discern themselves from each other. The Amazing Spider-Man 2 also has several key scenes that involve very elaborate action sequences that surely go above and beyond of its previous films. A car chase scene towards the beginning offers great fun in re-introducing viewers to Spider-man with perfect blend of action / comedy thrown together cohesively. Another is a showdown in Time Square with Spider-man facing off with Electro for the first time. It’s really neat to behold with a grand battleground of electricity flying everywhere (Shattering the large various screens in Time Square) and a super slow motion sequences of Spider-man using his “Spidey” senses to see what needs to be done. The end result is a choreographed fighting scene that’s incredible intricate and impressive. The film visuals are to be noted; bolstering some great effect wizardry on-screen that will surely “Wow” viewers. The film also cashes in big and maximizes on its 3D effects (3D being common now in most blockbuster type movies) with flashy angles of flying through the city with Spider-man and objects popping off screen and in your face. True, it’s a gimmick, but the filmmakers utilize to its full potential; offering great fun for those seeing the movie in 3D or even IMAX 3D (Which is what I saw it in). The main problem with The Amazing Spider-Man 2 is simply fact that it’s too overstuffed with content. Running a little bit under two and half hours long, the film feels bloated and carries too much weight in its storytelling. One example is in its screenplay. There’s too much going on and a sense of superhero familiarity comes into play, which makes the film’s story predictable. Some of the dialogue is also just awkward or bad, especially with some lines given by Electro. Speaking of Electro, he’s seems to be the primary villain of the movie, but somewhat doesn’t seem like it. Though he greatly involved in lot of film’s action and CG visuals, he seems more like a super-powered nuances than a super-villain. Jamie Foxx shines the best in the film’s beginning with his character of Max Dillion; conveying a dweebish and socially awkward person who you genuinely feel sorry for. However, when Max becomes Electro, he just falls flat; creating final product antagonist worthy of Spider-Man, but with no hope for redemption or sympathy for the character. In truth, Electro has more screen-time than Harry Osborne, who ultimately becomes the Green Goblin, which is disappointing as DeHaan does a better job as villain who only shows up towards the movie’s final act. Both villains, on paper and visually on-screen, are great, but the screenplay could’ve been better for the pair whether in redeemable qualities and /or balancing screen time. Similar to Iron Man 2, the film also spends a little too much time on setting up future installments that it gets bogged in laying down the foundation. With a third and fourth film in the pipeline and talks of a spin-off (A villain based movie involving the Sinister Six), the pressure to include several hints and nods towards these future films in this movie almost derails the narrative and, at times, becomes unnecessary. The appearance of the villain Rhino played by Paul Giamatti is a prime example. The role, which is more a cameo, is fine and the intent is there, but the question is: Why have it all? It seems pointless and his scene in the mechanical rhino suit doesn’t offer anything new from what viewers already saw in the film’s promotional trailers (Which definitely gave away his big reveal). There is also the fact that the “Big shocker” that happens towards the film’s ending that has been rumored and almost confirmed to happen ever since the movie went into production. If you know the Spider-man comics or at least know its cannon (as I do), then you know what I’m talking about. All the hype that surrounds this event has been speculated everywhere (on various websites and advance movie reviews) and sort of deflates the surprise when it happens. To me, it’s what I expected to be, but it would’ve been cooler and more far shocking if the studio didn’t let the “Cat out of the bag” so early, if that at all. 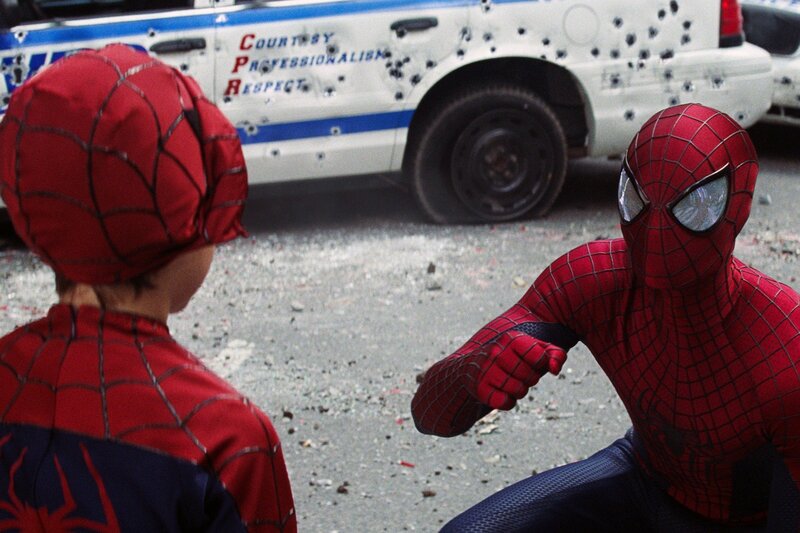 With that out of the way, The Amazing Spider-Man 2 does have some redeem qualities and positive to my liking. It does build upon what its rebooted predecessor did in telling the origins of Spider-Man, most notably in Peter’s parents. A terrific opening sequence highlights what became of them (Which was cool to see) and, over the course of the movie, shows their involvement with Oscorp and, unknowingly, in their son’s accidental mutation. 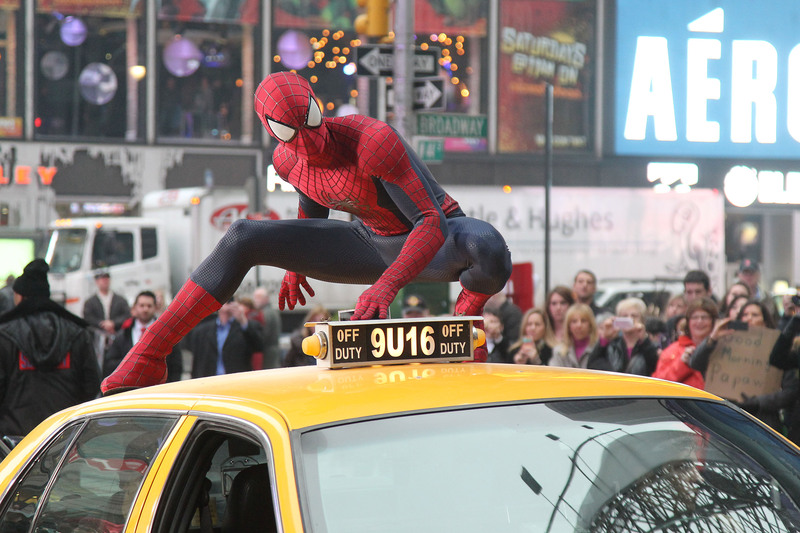 Leading the charge is Andrew Garfield as Peter Parker / Spider-Man. He’s genuine bravado and attitude, whether sincere, funny, or cocky is great for the character as he hits his marks in strides and easily likable to viewers. He’s a great Peter Parker, but even better as Spider-Man; offering the right witty banter that iconic superhero is known for and overall seriousness when it is called for. Tobey Macquire might have been the first Spider-Man on the big screen, but Garfield truly is the better Spider-Man. Besides the action, of course, the film’s greatest strength is the commonly known matters of the heart. The chemistry between Andrew Garfield and Emma Stone, who returns as Gwen Stacy, is incredible as their off-screen relationship lends considerable weight and believability to their characters in times of joy and sadness. 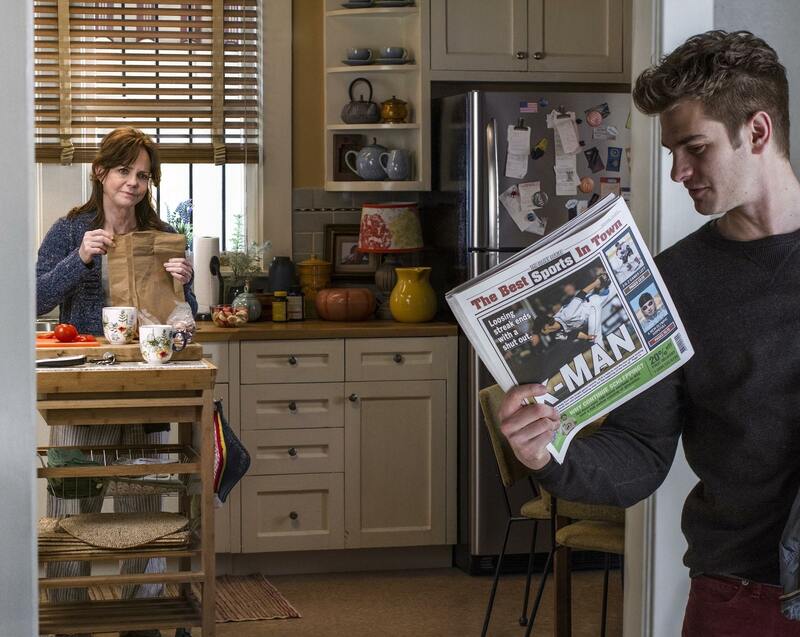 It’s also interesting to see the continuing struggle of Peter being haunted by the death of Gwen’s father from the first film as well as Peter’s strenuous parental relationship with Aunt May played by Sally Fields. The appearance of Harry Osborne, which was completely omitted in the previous movie, is introduced in this film and the relationship between Peter and Harry has a déjà vu feeling, but that’s to be expected in a reboot. Harry played a Dane DeHaan, most notable from the movie Chronicle, is truly creepy from onset to conclusion, but creates a persona that’s way better than James Franco portrayal of the character from original trilogy. Spider-Man is back in The Amazing Spider-Man 2; a sequel that’s bigger than his previous films and boasts a lot pomp and fanfare to everyone’s favorite web slinging hero. Unfortunately, like a lot of sequels, the term “Bigger is better” doesn’t always work as the film feels overstuffed, with several plots already exposed prior to the movie’s release) sort of comes across as a conventional superhero “Paint-by-numbers” type of movie. Still, there’s enough superhero frivolities and dramatic punches (both in front, behind, and in post-editing) in the feature to make it entertaining, but it’s a tried and true iffy-choice on a viewer liking it. Thus, the likeability of The Amazing Spider-Man 2 is split down the middle. The really question is how this film will stack up against the rest of this year’s summer movie. Good? Bad? We’ll just have to wait and see. Update 5/19/16…. Well, we all know what happened to this franchise after The Amazing Spider-Man 2 got released, spelling the utter doom for this currently reboot (and its potential spin-offs). Now, with the more favorable appearance of Tom Holland’s Spider-Man in Captain America: Civil War, it will be interesting to see where the studio (under Marvel Studio’s MCU banner) will take the web-slinging hero in Spider-Man: Homecoming. Great review. I remember feeling incredibly deflated by this, but still being able to accept that it was an OK film. When you’re excited about something, that’s about the worst feeling you can have.